Outsourcing your warehouse is most effective when you consolidate everything under one roof. 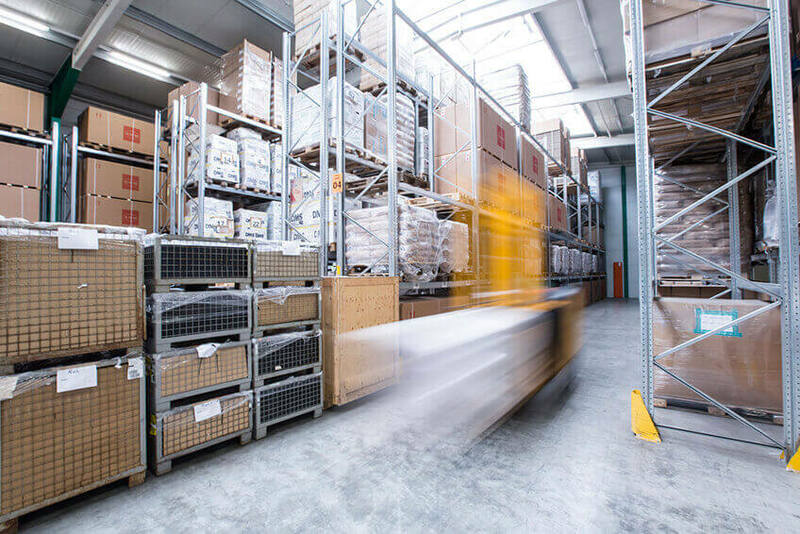 You concentrate on your core business and we’ll take care of everything that has to do with warehouse logistics – simply everything! practically everything you can give us. From individual packages and pallets to boxes, crates, barrels and frost-sensitive goods. Naturally, we can also temporarily store goods being relocated, winter tires and, needless to say, much, much more. approximately 17,500 m² of warehouse space including shelf and block warehousing, heated warehousing, handling warehousing, bonded customs warehousing, an open customs warehouse and all this with rail connection and indoor/warehouse crane. It goes without saying that container loading and unloading is also in our scope of service as well as international moving and much more! everything you should expect from a professional, warehouse logistics specialist. This includes packaging, commissioning, inventory, heat sealing, security sealing, labeling, final assembly, neutralizing, installation, quality inspection and clearance for imports and exports. Also, warehouse and inventory management is safe and secure in our hands including: operational organization and control, temporary goods storage, “just in time” coordination, development and realization of outsourcing projects, advertising management, collections management, inventory, customs clearance in the ATL@S-system, barcode labeling and warehouse scanning. Naturally, our services are compatible with FIFO systems.